Oh, I've never, ever made Stollen... I have no idea why, but you have just persuaded me to try! That looks beautiful! Thats looks delish Janice! I love Stollen - save me a piece will you?! Ooh yum! that looks delicious! 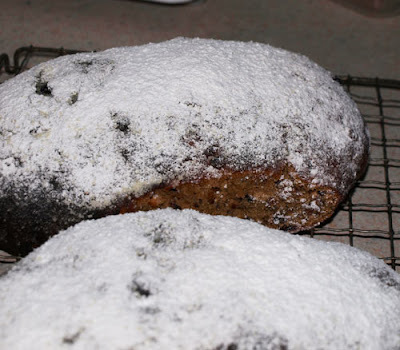 Your Stollen turned out really well - I love it when its all covered in icing sugar, looks just like fresh fallen snow! Did you make your own marzipan? thanks for the comments. No I didn't make the marzipan, it is Anton Berg marzipan and very nice too. 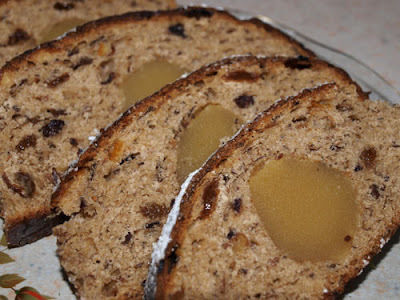 Glad you enjoyed the recipe, your stollen looks delicious. Thank you for taking part in this months FFTO challenge.